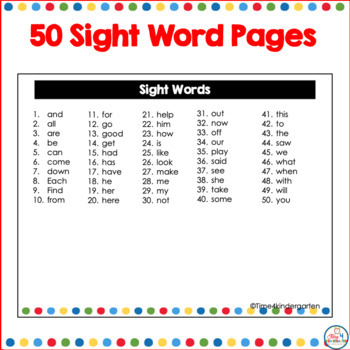 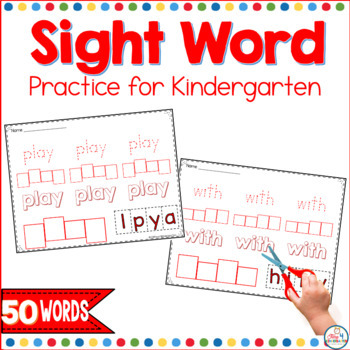 This resource includes 50 Kindergarten Sight Words. 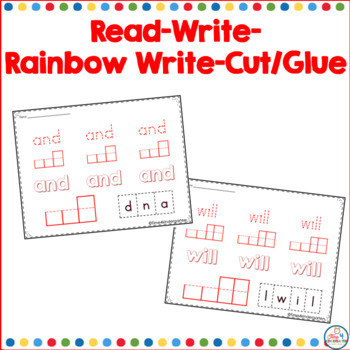 Students can practice their sight words through through tracing, letter box writing, rainbow writing, and cutting and glueing the letters in order. 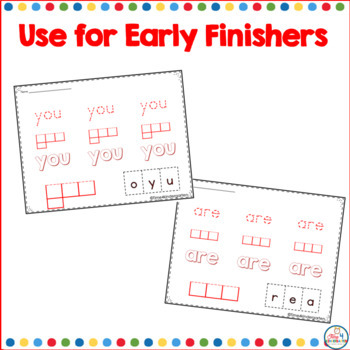 Use this resource for morning work, early finishers, homework, small groups, centers and RTI.